We have a knack for putting a name in lights. 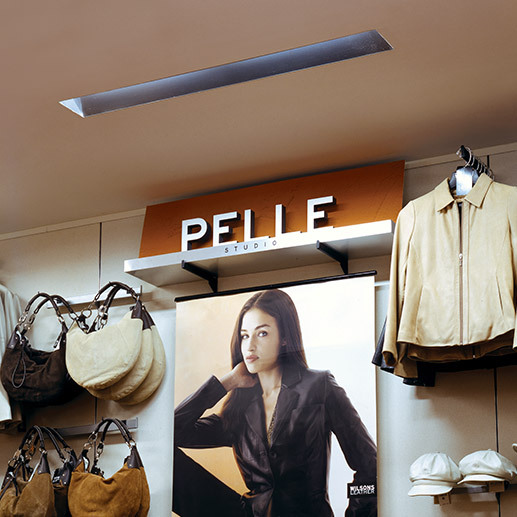 At this Wilsons Leather store, the lighting designer needed the high performance of our patented reflector system, but wanted the fixture to have minimal intrusion into the architectural space. Our “Trimless” option for the AK Series was the perfect fit. In fact, this exciting alternative is offered for all of our recessed hard ceiling fixtures.